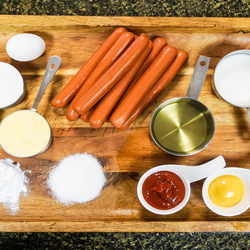 Get all of your ingredients together to make the corn dogs. Pour all of the dry ingredients into a bowl. 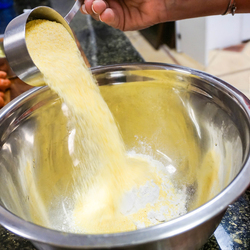 This includes the cornmeal, sugar, baking powder and flour. 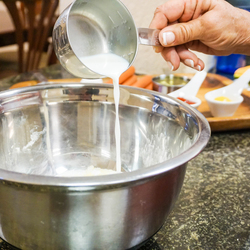 Add the wet ingredients to the dry mix. Pour the milk in first. Then add the egg. 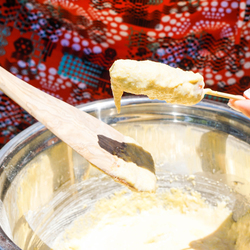 Stick the wooden kabob sticks into the half hot dogs. 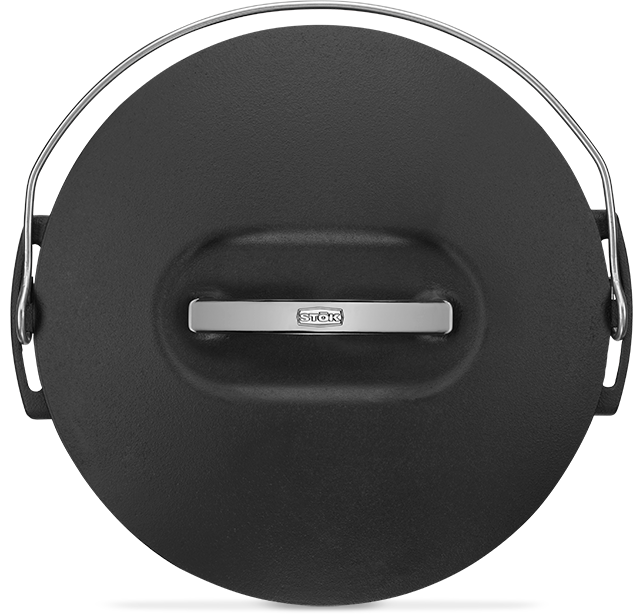 On your preheated STOK tourist grill place your STOK Cast Iron Skillet insert on top of the wire grill grate insert provided. 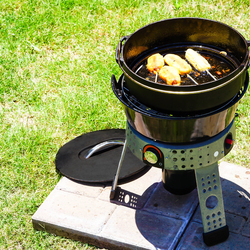 Insure that your grill and kettle are set up on a sturdy surface. 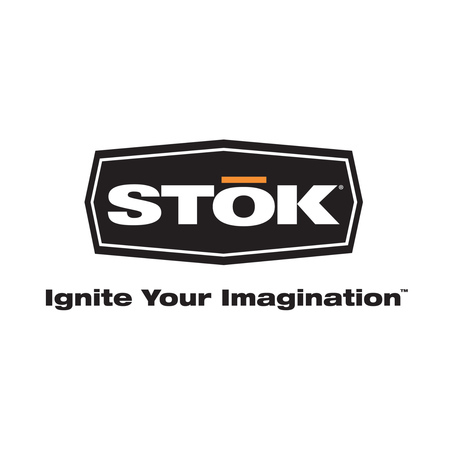 Add 2 cups of oil on your STOK Cast Iron Skillet. Heat until it bubbles. 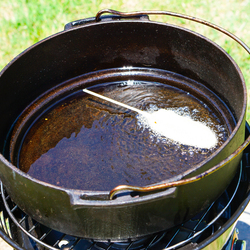 Once you put the oil on the grill DO NOT leave it alone. 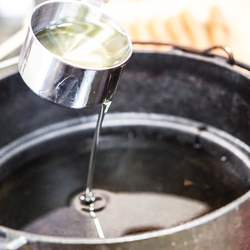 When your oil is hot you are ready to start cooking. 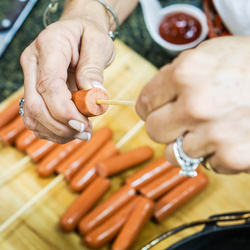 Dip the hot dog in the corn meal and smooth it around the hot dog with a spatula. 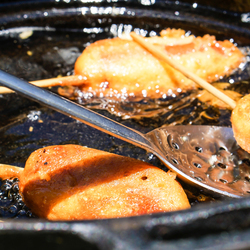 Now carefully drop the corn dog into the hot oil. 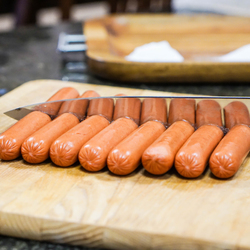 Continue the process of covering the hot dog and putting them into the STOK Cast Iron Skillet insert until it is full. 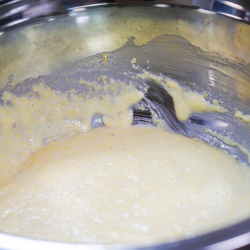 After a 3-5 minutes of cooking the edges of the corn bread will begin to brown. 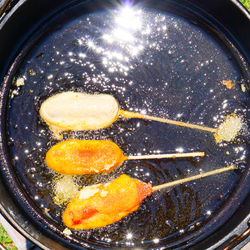 When it is lightly browned, flip the corn dog with a long spoon to other side. 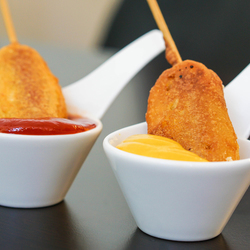 Cook the other side of the corn dog for about 3-5 minutes. 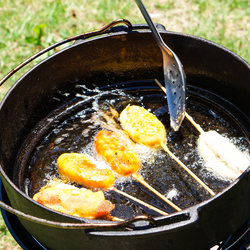 Once they are brown in both sides remove the corn dogs from the oil.